Dell Quay Dory 15 - is an open 15ft boat with plenty of space for up to 6 people. 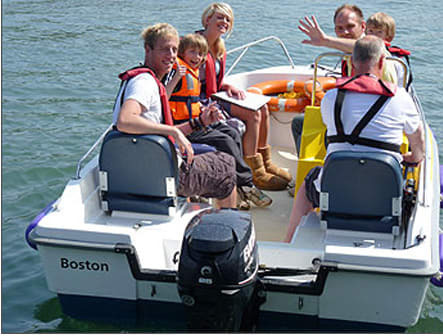 The open sporting design with ample seating and rails is ideal for families and has the benefit of console steering, a suitably powered Mariner engine. She is a self-drive charter boat so no need any real experience. 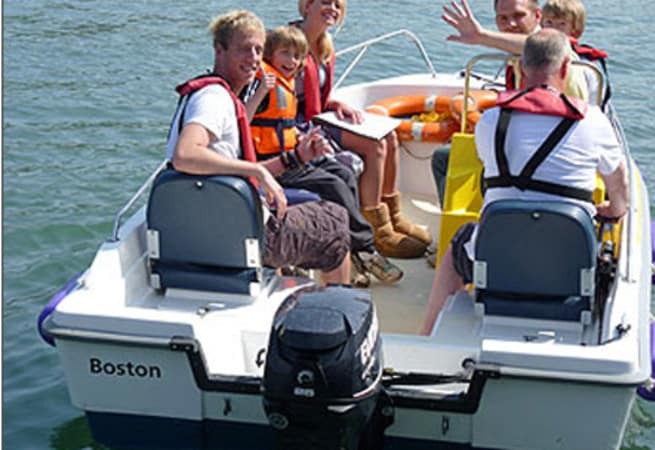 Thre are plenty of trips that are on offer in the Dartmouth waters. Prices per day start from £150.00.